In the midst of the American Civil War, a southern plantation owner's wife is arrested by her husband and declared insane for interfering with his slaves. She is sent to an island mental asylum to come to terms with her wrongdoing, but instead finds love and escape with a war-haunted Confederate soldier. Amid the mayhem of the Civil War, Virginia plantation wife Iris Dunleavy is put on trial and convicted of madness. It is the only reasonable explanation the court can see for her willful behavior, so she is sent away to Sanibel Asylum to be restored to a good, compliant woman. Iris knows, though, that her husband is the true criminal; she is no lunatic, only guilty of disagreeing with him on notions of justice, cruelty, and property. On this remote Florida island, cut off by swamps and seas and military blockades, Iris meets a wonderful collection of residents - some seemingly sane, some wrongly convinced they are crazy, some charmingly odd, some dangerously unstable. Which of these is Ambrose Weller, the war-haunted Confederate soldier whose memories terrorize him into wild fits that can only be calmed by the color blue, but whose gentleness and dark eyes beckon to Iris. The institution calls itself modern, but Iris is skeptical of its methods, particularly the dreaded "water treatment." She must escape, but she has found new hope and love with Ambrose. Can she take him with her? If they make it out, will the war have left anything for them to make a life from, back home? Blue Asylum is a vibrant, beautifully-imagined, absorbing story of the lines we all cross between sanity and madness. It is also the tale of a spirited woman, a wounded soldier, their impossible love, and the undeniable call of freedom. When you first meet Iris, Wendell, and Ambrose in chapter 1, do they seem mad to you? How do they see one another, and how true do you think their first impressions turn out to be? Use examples from the novel to support your opinion. Throughout Blue Asylum, attempted rescue is a recurring theme: Wendell and the lamb, Iris and the baby, Iris and Ambrose, Dr. Cowell and Iris. Do you think Iris had any influence over whether Ambrose lived or died? What lessons do you think she learned by the end of the story? Juxtaposing the Civil War with Iris's struggles as a woman in the South invites comparison of the two. Battle lines are clearly drawn in Blue Asylum - blue versus gray/men versus women - but Hepinstall is careful not to render judgment of guilt or innocence for any of the characters. Instead she reveals their personalities slowly in a series of flashbacks, and leaves the readers to judge for themselves. The result is not the grist of fairy tale love stories but rather the portrayal of a complex relationship. (Reviewed by Mark James). Deftly interweaving past and present, Hepinstall sets the struggles of her characters against the rigidity of a traditional Southern society and the brutality of war in an absorbing story that explores both the rewards and perils of love, pride, and sanity itself. A deep sense of the natural world, often-lyrical prose, and some touches of southern Gothic help carry along this tale of obsession and redemption. Starred Review. Features excellent pacing and strong character development... A first-rate choice for fans of intelligent historical romances. Blue Asylum casts a spell that keeps the reader turning pages as if in a trance. The language is lyrical but the plot is taut and compelling. The horrors of the Civil War are made real and specific in the story of the wounded soldier and the persecuted wife who find love and hope in the unlikely setting of a supposedly enlightened insane asylum on an isolated island in the Deep South. Kathy Hepinstall is a master storyteller in full command of her craft. With Blue Asylum, Kathy Hepinstall presents the reader with the rare and delicious quandary of whether to race through and find out what happens to her characters or to linger over her vivid, beautifully crafted sentences. For me, the only resolution was to read it twice. Blue Asylum is a gripping story of love and madness in the midst of the Civil War - I couldn't put it down! Don't miss reading this book. 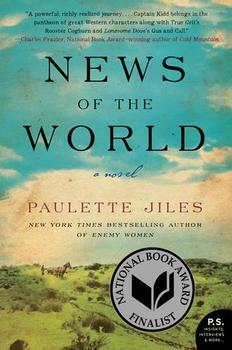 An eloquent book about choices we make in life by both men and women and the affects of the Civil War. The setting is beautiful and the characters come alive and will stay with you long after you have closed the book. In Kathy Hepinstall's Civil War-era novel, Blue Asylum, Iris Dunleavy is sent to live in the Sanibel Asylum for Lunatics on Sanibel Island, Florida for the "act of defying [her] husband." Though the area is now considered a mecca for lovers of sea shells (SanibelHistory.org estimates that the resident population of about 6000 swells by 20,000 - 30,000 people per week during peak shelling season), it wasn't always such a relaxed place. It is said that Sanibel Island formed about six thousand years ago. According to the Sanibel Captiva Chamber of Commerce, the process was the result of sediment rising from the sea "after being shaped by centuries of storm activity."